In 2003, Mr Max Weaver, a member of the shadow Court from the beginning, became the third Master. For the first time the Franklin Lecture in November 2002 was presented in Bakers’ Hall: the lecturer was Professor Alan Smithers (University of Liverpool) and his subject was ‘Equity, Effectiveness and Efficiency in Education’. The speaker at the Election Dinner was Dr Peter Southern, Headmaster of Christ’s Hospital. 2003 saw the presentation of the first of the recently-inaugurated Guild Awards: the Guild/Judith G Osborne Award (to an outstanding student in the Education Faculty at the University of Leeds); the Guild/Swan Award (to an outstanding education student at the University of East London); and the Guild/Floud/Weaver Award for internal teacher training at London Guildhall University. 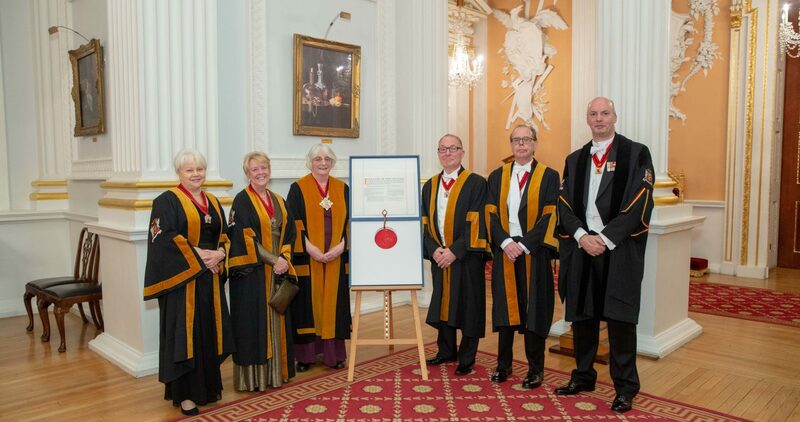 The Guild’s recognition by other Livery companies began to accelerate in that year which also saw: a survey of the growing Freedom; the formulation of the Guild’s first set of strategic objectives; the first public speaking competition; and the launch of a competition amongst the Freedom to find a motto for the Guild.